“But now in Christ Jesus you who once were far off have become near by the Blood of Christ” (Eph 2:13). Because Jesus’ sacrifice on the cross reconciled all people to their Creator, the Missionaries consider reconciliation as central to their ministry. The Precious Blood of Jesus Christ has saved us. That salvation is not reserved for the few; through his sacrifice, Jesus saved all of creation from sin and torment. 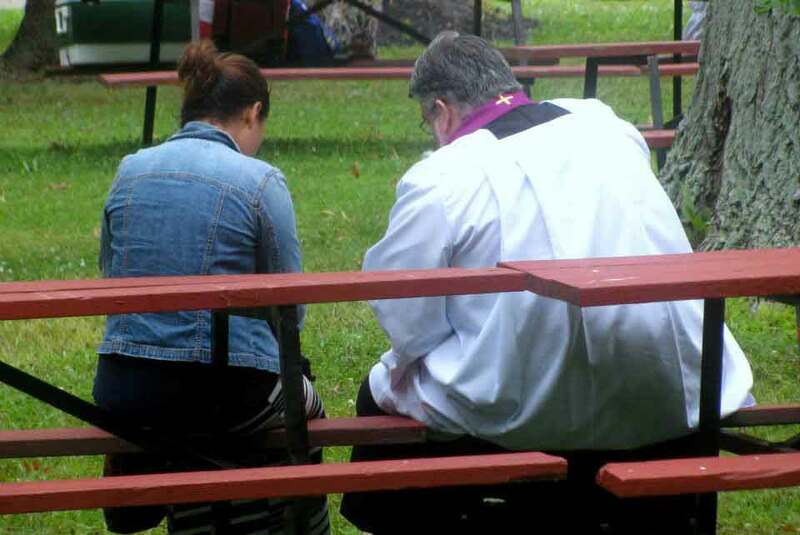 The Missionaries have profound respect for the sacrament of reconciliation and the joy and peace it can bring to troubled hearts. They seek out places where reconciliation is badly needed, in countries and neighborhoods that have been torn apart by strife and violence. The Missionaries also promote healing in quiet ways, in families and from person to person. They walk with people in turmoil, who are reeling from the pain that life sometimes delivers—or that we sometimes deliver to ourselves. Missionaries work to bring people back together, to draw them near through the Blood of Christ. They promote peace and understanding in a neighborhood or between feuding family members. In all these ways, they bring the Precious Blood of Jesus to those who are suffering, conflicted or alienated. Through their words and actions, they set out to demonstrate God’s boundless love for his children.